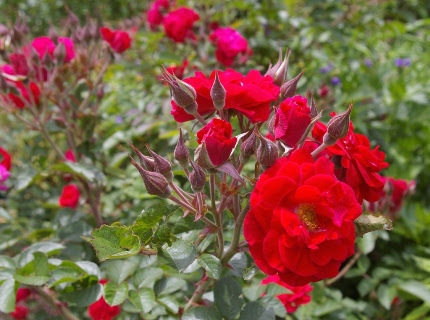 10 Jun Classic Garden Plants Reign Supreme! Welcome to one of the most wonderful weeks of the gardening year. Hydrangeas, roses, foxgloves, astilbes, peonies, irises, and so many more classic garden flowers are in their glory right now. I believe that a good garden is built around the classics. Young, beginning gardeners take note! These plants are reliably hardy and have stood the test of time. They also stir memories in all of us and help to carry on traditions for the next generations. That being said, I am certainly a big fan of odd, unusual, and unique plants. They are the “frosting on the cake”, the “bling” in the garden that constantly bring a smile to our faces and enhance our sense of wonder and delight. ‘Linda Campbell’ is an amazing rose. Look at all those buds on each branch! One of my favorite roses is ‘Linda Campbell’. She is related to beach roses, but you probably wouldn’t know it by looking at her. Look at the bud count on each stem! She blooms and blooms, well into the fall. Linda can be elusive; this year I found some awesome specimens. She also grows in our island bed by the telephone pole. Foxgloves are also quite stunning this week. On the left is my new love Digitalis ‘Polka Dot Pippa’. Last year I couldn’t believe this variety- it kept blooming from June until fall. It turns out that she is sterile and won’t set seed or stop flowering. Truly impressive, and a gorgeous color to boot! 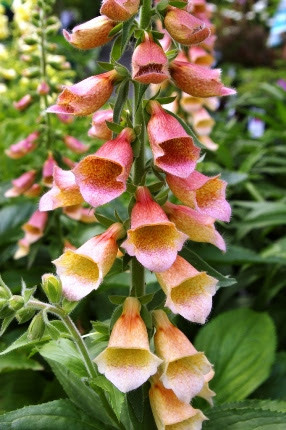 Digitalis thapsi is a perennial form. Along with creamy yellow D. grandiflora (and the wonderful compact form ‘Carillon’), these not only come back for many years, they also self sow. But most people think of the biennial Digitalis purpurea when they think of foxgloves. The trick to them is to understand the biennial lifecycle. If you buy them in flower, DON’T deadhead them. Instead, let the seed pods ripen. The next spring, watch for baby plants to appear, not necessarily in the same spot in the garden. If they are in the wrong place, move them around in early spring. The following year you will have a large stand of blooming biennial foxgloves. If you want to break the every other year blooming cycle of this classic biennial, plant blooming plants, baby plants, AND seeds at the same time. Eventually they will become a welcome addition to your garden beds. 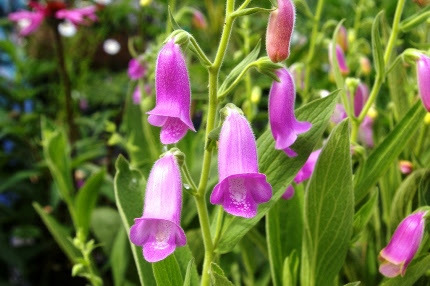 For the next two weeks, all of our foxglove plants will be on sale. 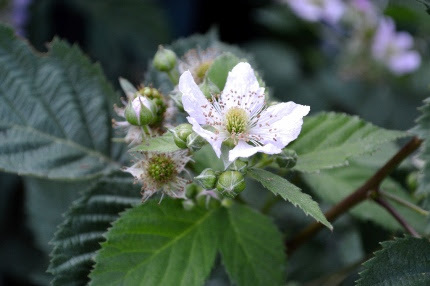 Check out our ‘Black Satin’ thornless blackberry bushes. We also have Jostaberries, Goji berries, blueberries, and strawberries including insanely sweet new French varieties of Fraise de Bois (alpine strawberries that bear little berries all season and don’t send out runners). Plant more fruit in your yard this year! This Thursday evening is Ladies Night! We are finally going to have a Ladies Night IN the gardens in the spring! We have many guests coming to help all of us learn about An Organic Approach to Woman’s Health. This event is free and you can simply show up but we would really love it if you called or emailed us if you are coming so we can make sure we have enough refreshments. I know I just told you how important it is to base your garden design on classic plants, but sometimes an unusual bright blue flowering perennial on the edges is just the ticket. 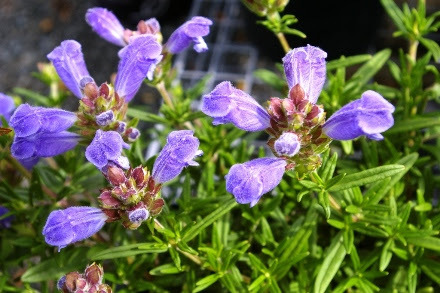 This is Dracocephalum ruyschianum and it is irresistible! This Saturday is another extremely popular garden walk: The June Prune. NOW is the time to prune any woody plants that bloom in early-mid spring on last year’s wood. This can be quite a complicated subject for many folks. My goal is to explain and demonstrate how this works. Plants that should be pruned now (within 4 weeks of blooming) include lilacs, rhododendrons, azaleas, andromedas, quince, and many more. Click here to download our handout Old Wood New Wood. This walk will be repeated again on Thursday evening, June 18th. Get here early either day, this walk is REALLY popular! This Saturday is also our June Earlybird Sale. Once a month we open at 7 in the morning and if you arrive between 7 and 9 am you will be given a $5 gift card to be used towards a $20 or greater purchase. It’s a lovely time to relax in the gardens with a cup of organic coffee and chat with me and my staff. Beginning June 21st we will reduce our hours a bit. If you want to take advantage of our extended hours, for now you can still shop Monday through Saturday 8-6 pm;Thursday nights we are open until 7; and Sunday you’ll find us here 9-5 pm. 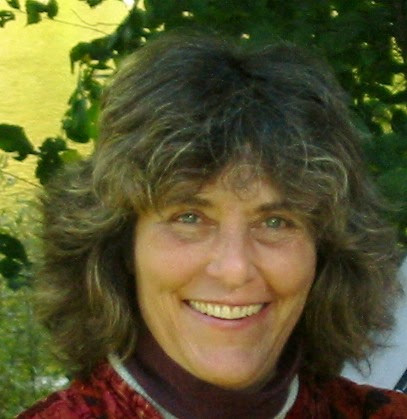 Betsy Williams is coming to Natureworks for our first Mid-Summer’s Eve festival on June 20th. Reserve your spot today. I am thrilled to announce that author and lecturer Betsy Williams will be here on Saturday, June 20th for a two part mid-summer night’s eve festival. Betsy is an amazing herbalist, combining her extensive plant knowledge with history, plant lore, and seasonal celebrations using herbs. Betsy was the creator of the first Fairy Festival in 1987 at her shop in Massachusetts that was later featured in Victoria magazine. 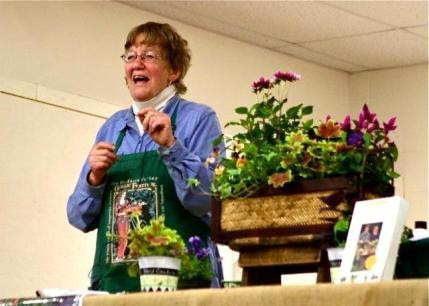 Her herb gardens and floral works have been in Better Homes and Gardens, Country Living Gardener, Colonial Homes, The Herb Companion, and the New York Times. She has appeared on the Discovery Channel, many greater Boston television stations, and local and national radio talk shows. She has authored many books about herbs and will be selling and signing her delightful book There are Fairies at the Bottom of my Garden throughout the day and evening. The afternoon event is a VERY special Fairy Festival for children. At 6 pm, we will have our first ever Mid-summer’s Eve Festival with herbal refreshments. Betsy will share the history, folklore, and magical lore of plants and herbs as well as their traditional uses. For registration information, please see the Calendar of Events box below. Beautiful plants, beautiful gardens, birds singing and flitting about, butterflies, hummingbirds, bees… they are all here awaiting your visit. Natureworks truly is a wonderland of delight this week. Come and celebrate with us.